Play-Fi supports the ability to set up a 5.1 surround-capable Play-Fi audio piece in a Wireless Surround configuration. 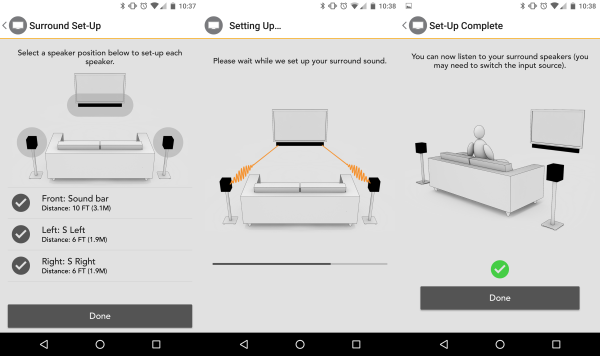 We call it: Play-Fi Surround, and setting it up is simple. After you've connected at least one Play-Fi Surround Master (such as a Play-Fi sound bar, like the Polk Omni SB1+) to your wireless network and your TV, connected at least two Play-Fi products of any kind to your wireless network, and brought the products' firmware and software up to date, simply tap on the Settings icon on the main page of the app, and navigate to the Surround Sound option. This will open the settings page for Play-Fi Surround, and since we haven't set up Play-Fi Surround yet, it will prompt us to do so by tapping on the + button down in the lower right. Surround Set-Up will begin and the app will preface with some information and instructions. 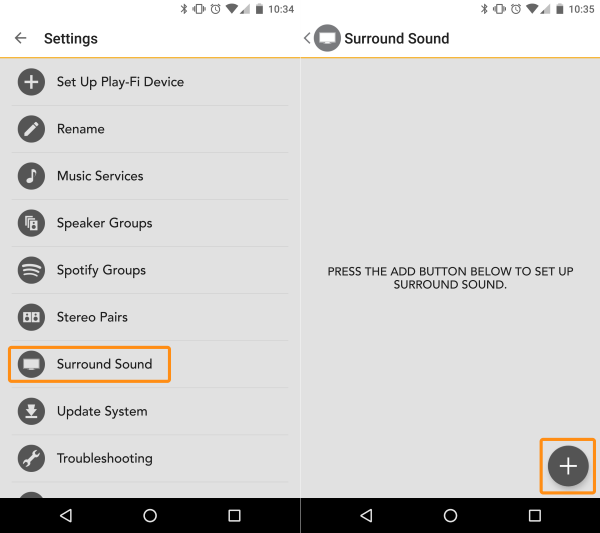 Once you proceed, the app will detect if there are products available on the network that can support Play-Fi Surround, or if there are products that need an update from the manufacturer to enable support. 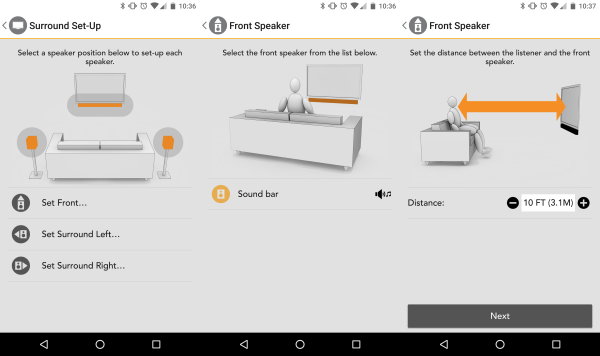 The guided setup will talk you through picking the speaker for the correct placement and setting the distance (this and other settings can be adjusted later after setup is complete.) This process is the same for all three speaker placements but the Front psotion must be a Play-Fi Surround Master. After you've picked every position and set the distance, the app will automatically conigure everything as needed wirelessly. This can take about 60 seconds or so, and once completed, the app will notify you. You're all set! Be sure to set the Play-Fi Surround Master to the desired input source, and then go ahead and play some 5.1 Surround content to test it out. Play-Fi Surround is a true 5.1 surround experience, so if your Play-Fi Surround Master is connected to something that sends a 5.1 audio signal supported by it (this will vary by input and manufacturer), then the connected surround speakers will in fact render discrete Surround Left and Surround Right channels. If you have any trouble with audio output or performance, please refer to those respectivly linked articles.